(03-26-2013, 05:29 PM)RE-Xtreme RC Wrote: Looks like a good pick up. The OD Gear Cases look amazing. I can't wait to see it all come together lol. I really liked the design of these steering wipers when I was shopping for a set. They should allow for a good amount of opposite lock. 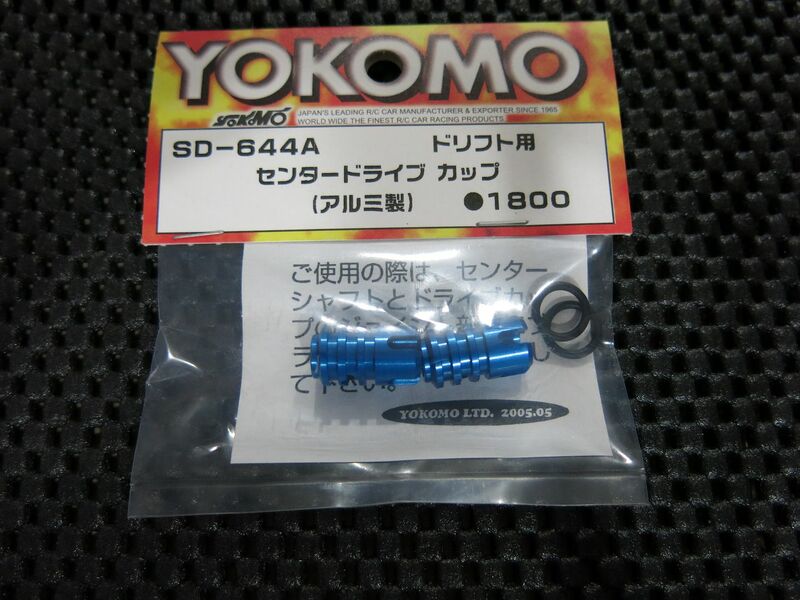 I went for the blue alloy input shafts from TN Racing. Overdose just made a new drive cup. Locking pin is a good idea. Yea, I barely noticed these drive cups in a recent pic of their prototype chassis, but the photo wasn't too revealing. 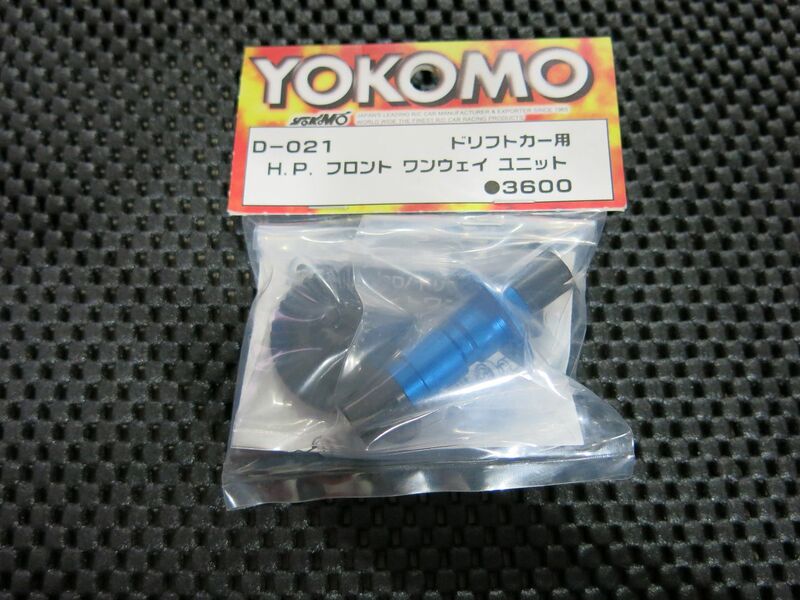 Also pictured was an Overdose motor mount that they seem like they will be releasing in the near future as well. Your drift package is a work of art lol. I have always had a soft spot for shaft cars, and your build really pushed me to want to build another shaft car! Hopefully mine turns out just as good. Hey Russ those wires on ur esc and motor speaker wires?? The SSG or Imadoki motor mount is good. Because you you have a direct mesh without that stupid clamp and screw tension setup. I think that's why most people want to try chassis conversions. I hope the OD one is nice. I think there's a lot of people starting to RUN fr-d so parts are available and the dori-pake is still a good platform if you tune it right. Shaft drive I find needs a bit more throttle but thats good too. The first time I met kondo-san in Max One. 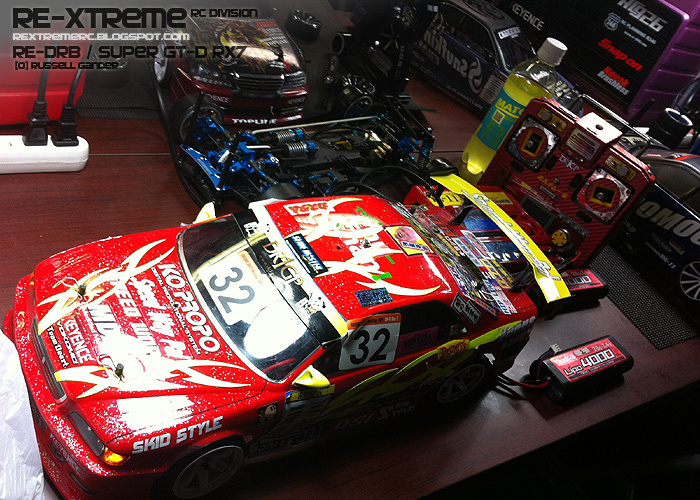 I had a look at his ugly machine near stock components, and it weighed 2.5Kg with the body!!! Chassis alone was 2 KG. with 300g centre weight on the body roof. If anyone says you need to spend money, you are wrong. He proved for many years a near stock drift package could run at the top. He never crashed the whole night unless someone crashed into him. Wires are from a small company in Japan. RC Garage or something. You don't see them listed in online stores though. Audio wires may do the trick. RC wire like Keyence stuff tends to be more flexible and finer. these are a bit solid. but look great. 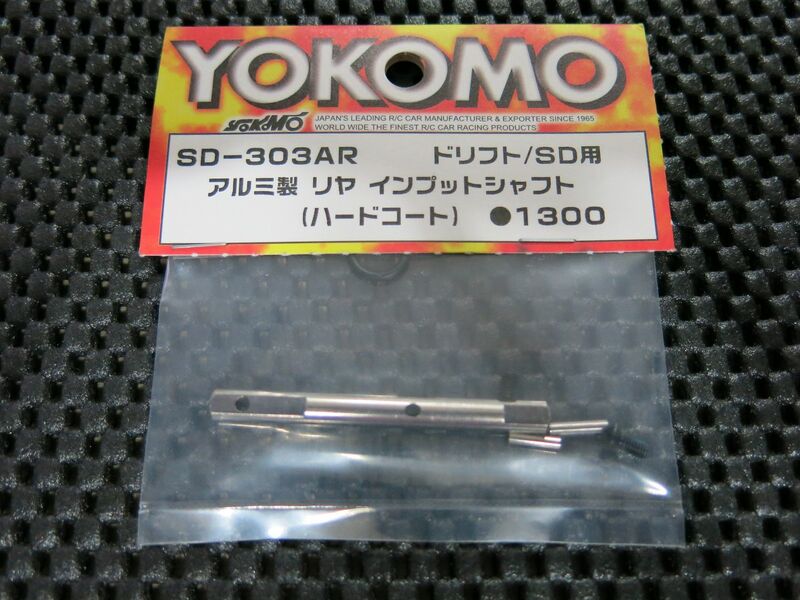 (03-29-2013, 05:42 PM)RE-Xtreme RC Wrote: The SSG or Imadoki motor mount is good. I remember the post you made on that drift package, it was an eye opener for sure. 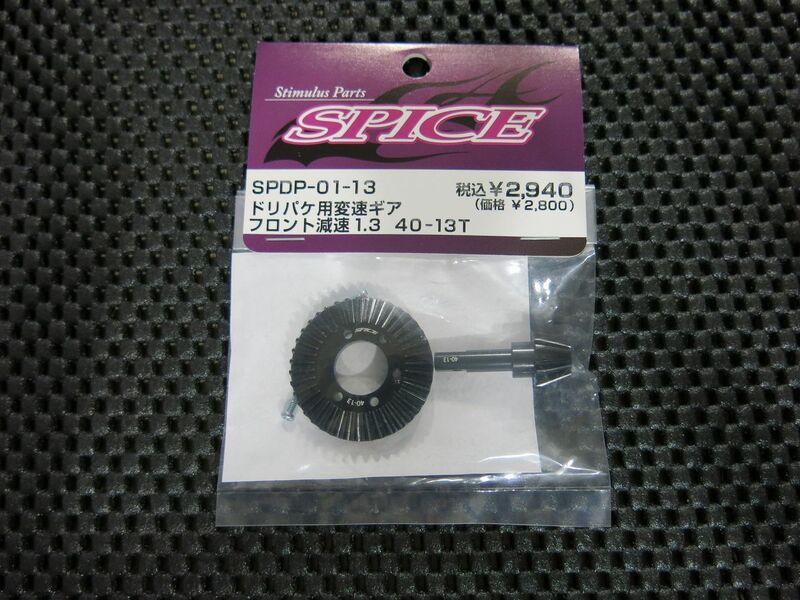 You also made a post on your blog before about a night at Max One where the 2 smoothest chassis running that night were a relatively stock Street Jam R31 and Drift Package which ran consistent lines and angle all night. 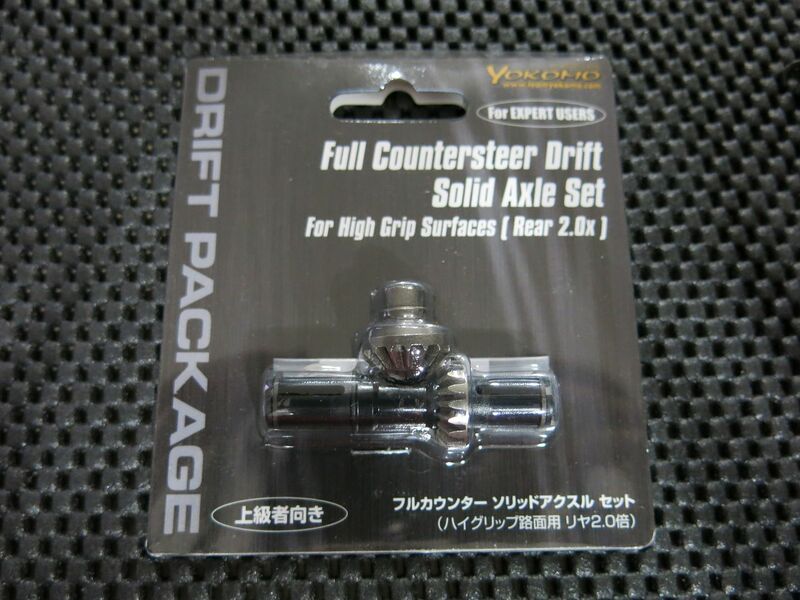 One of the main reasons I didn't overlook a Drift Package when looking for a shaft car was because of a few blog posts you made on them. I've been wanting to experiment with body weights on my DIB lately as well! Do you still run some on your DRB? The FR-D is really cool, I've seen a lot of customer rides with completely custom suspension mods. RWD seems to be all the rage in Japan right now lol. Yes, the drift package can be nice. I've tried some terrible ones and some fantastic ones too. I tried a FCD 2.0 plastic chassis which was nice. TN Racing Plastic gears also made everything smooth and quiet. Mine is not so noisy with the OD cases, but it's not quiet either. I'm loving mine recently. "It's got balls" getting near 2Kg with body. I tried a Imadoki which was nice too. But basically the suspension setting and steering speed is the most important and that's the same on any chassis. Body weights. I usually grab my finished body and get the setting pretty close. then move them around mostly in the roof area. sometimes a little forward then aft trying different positions AND doing suspension adjustments. for about an hour. until it's nice. Takes time but it changes things. I hate the front bumper weights though. Just my preference for weight position. My DRB runs only 1.5 cs and without the weights its a little difficult to keep the rear active without a lot of speed. But at a large track it slides in nice from a long way out. I find the weights really help to maintain a slide. I run about 200g on the blue 86. But I've just gone back to 1.78 so I'll have to re-adjust everything. Yodo's blog is good. Lots of good setting advice. I modelled my TA-06 on his and it was fantastic. The motor mount would be nice. I just saw Kazama has some similar cups. But they are not blue of course. 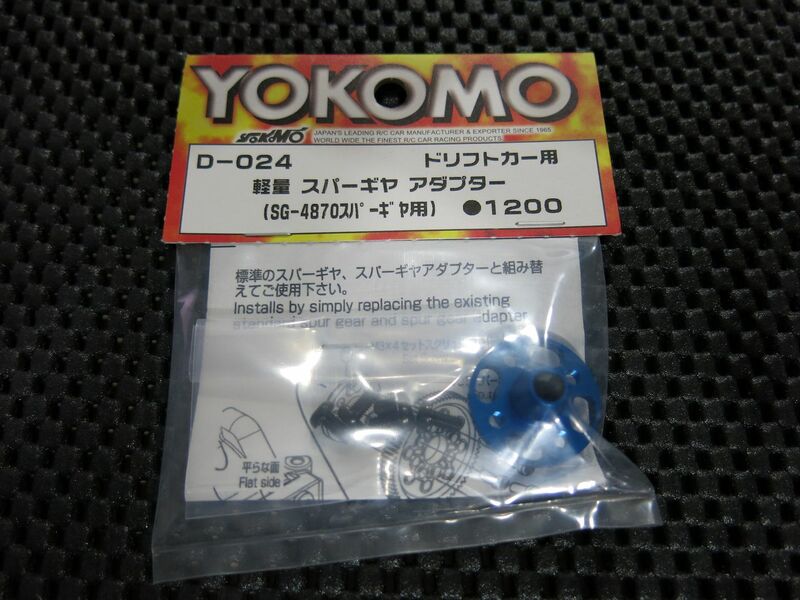 I have the blue Yokomo ones too. I wont upgrade yet. I'm still not convinced with flex. It has traction sometimes, but I find suspension has to be HARD (ie not working) so the chassis flex works. It's just too vague for me with all the flex. I like to make small adjustments on shocks not massive guesses of flex. Maybe I should try a double upper deck to tighten it up and get some suspension back.